From London to Loch Ness, running 2 marathon’s 5 weeks apart the routes could not be much more different. 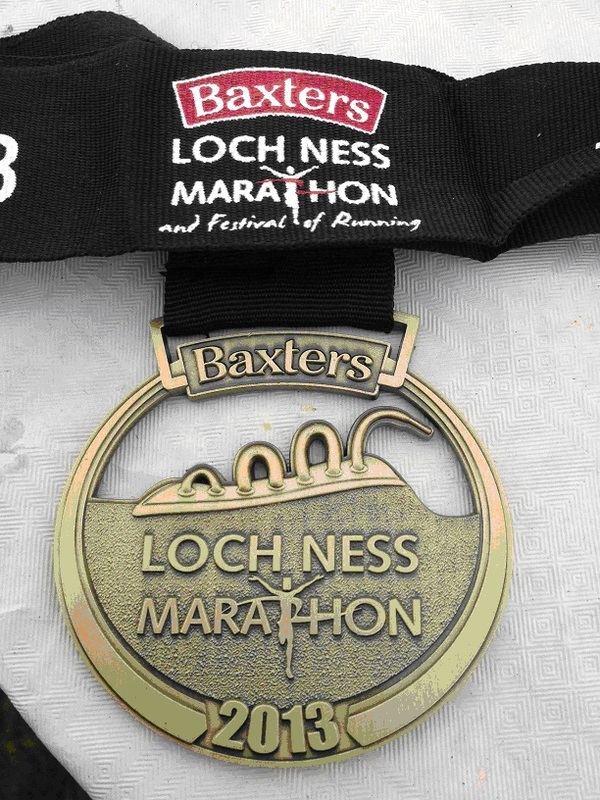 Little did I realise when booking the Loch Ness Marathon that on the journey up you are only half way there when hitting Glasgow. I also didn’t realise I’d need an interpreter for the Scottish accent but I went by the rule of after saying pardon 3 times I’d just agree with what was being said. The monster is not the only long-running legend in the area, as Loch Ness is also home to one of the best marathons in the UK. It is the biggest in Scotland which takes place in a rural setting starting between Fort Augustus and Foyers and finishing in Inverness. The course has a very high potential of a PB, some people say it’s hilly but a Kimberworth Strider would describe it as ‘undulating’. The weather was amazing and it was great seeing so many spectators and supporters along the stunning route. I ran a PB of 3.08.24, 11th lady overall which was celebrated with a Baxters soup (sponsor of the race) and an Iron Bru, well if you can’t beat em join em! The race was won by Kenyan Tarus Elly 2h 27. Megan Crawford (Fife AC) enjoyed a marathon debut to savour by setting a new course record of 2hr 46min 37secs to win the Baxters Loch Ness marathon women’s title and the Scottish championship gold medal. Posted on September 29, 2013, in Marathon, Sports Massage. Bookmark the permalink. Leave a comment. Would you like to be fitter and healthier? Have you signed up for a charity event and need some support with your training? Would you like your workforce to be fit and alert all of the time? Do you suffer from niggling aches and pains? ALLforYOU can help you to address any or all of these questions and many more.